How “Yessettle” came up with the idea to become world’s first online disputes settlement platform? 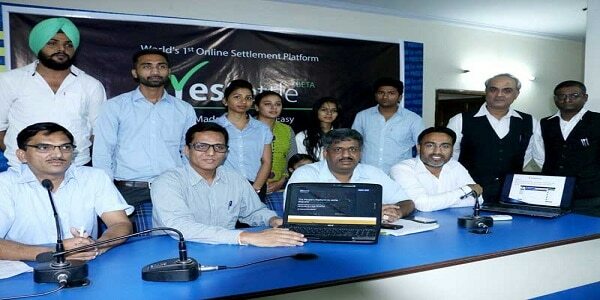 Yessettle is the World’s First Online Settlement Platform that enables its users to initiate the process of resolving any dispute with any other party anywhere in the world and it further helps them with its support in resolving the disputes through online mediator, where the mediator tries to resolve the dispute by breaking deadlocks and finding an amicable midway solution to which both the parties. Rajinder Sharma, the founder of yessettle.com started working over the idea in September 2014 keeping in mind the beneficial factors for litigants adding to it, his 22 years of experience of legal practice. It occurred to him that many of the litigation can avoided by the parties in case they have a proper and comfortable atmosphere like home to sit together and to find a midway solution. Why we chose Yessettle as Startup of the Week? • World’s First Online Settlement Platform. • Free to use platform. • Time and cost efficient. • No need to revolve around the court. • Looking to launch the platform in other countries. • Settlement process made easy and convenient through online platform. • Huge experienced team to solve the disputes including lawyers, bankers, retired judges and others. The idea came from a pain point in the court hearing process. One of his client’s daughter who was a U.S. resident had a matrimonial dispute which was undecided in Chandigarh High Court and the court directed the parties to present themselves before the Mediation Centre on the given date. Around 15 days were wasted in the proceedings of Mediation with the intent to resolve the matter but nothing productive came out even after 5 to 6 meetings in the Mediation Centre. During this visit, his friend spent more than 3 lakhs rupees for the said purpose and other than that money; he spent several hours in Court Mediation Centre. This case struck the mind of Mr. Rajinder to have an online platform that could serve the same purpose without such tremendous losses. Then Mr. Rajinder along with Mr Vikrant Rana, IIT (Bombay) alumni and Business Analyst from New Zealand did brain-storming and market research on the concept for 3 months to give a proper shape to their idea. After that it took around 8-9 months for developing the website. STEP 1: Just join the platform by signing up and providing normal details. STEP 2: Carve a short & clear proposal letter for the settlement of dispute with the other party. STEP 3: Before revealing your proposal-Yessettle will send the notification to second party through e-mail or Mobile. STEP 4: Once the second party accepts your proposal, it will be visible on the Yessettle platform to the other party for further negotiation, discussion on the issue. STEP 5: Parties can also involve the online Mediator in resolving their disputes. The startup adds a convenience factor to its platform and it is absolute free to join. 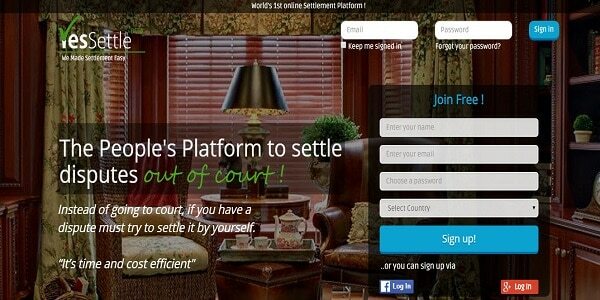 It is world’s first online platform aiming at reducing the litigation and creates a healthy and trouble-free atmosphere in the society. It is an effort where in parties at disputes come together on the Yessettle portal to settle their dispute online and that too free except where the parties need an expert online Mediator. Looking for the future plans, the company is in process to launch the platform in other countries and reach out to maximum extent in near future. Presently, running the start-up with our own funds and is seeking to get funding.